Inigo Jones died June 21, 1652. He was buried in S. Bennett's church, Paul's Wharf, London, June 26, 1652. Many of his drawings of unexecuted schemes remain at Chiswick, in the British Museum, and elsewhere. 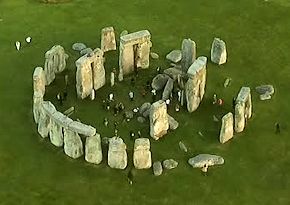 In 1620 Inigo Jones was commissioned by the king to write an account of Stonehenge, which he supposed was a Roman ruin, and left notes on the subject which were published by John Webb in 1655.